Learn how to write or how to train writers with this lively, information-packed eight-hour MP3 course taught by MTI President Sharon Mumper. 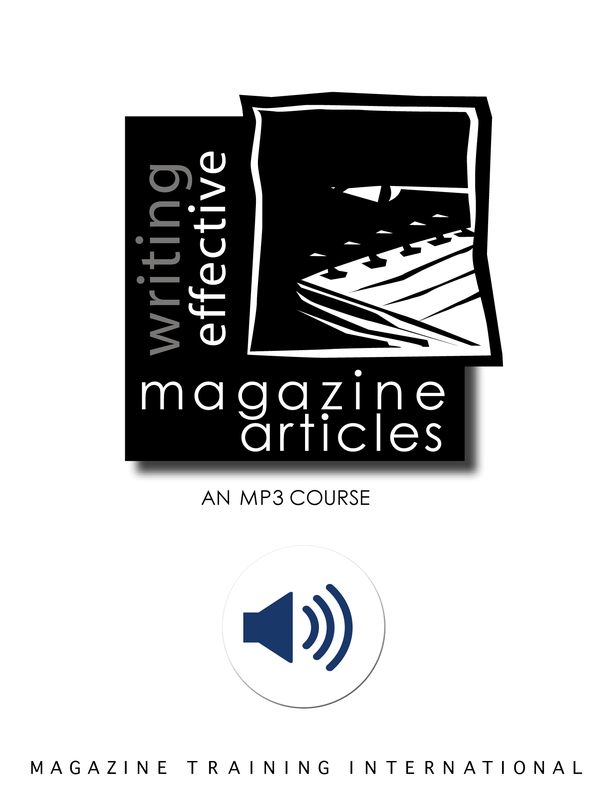 Use this information-packed eight-hour MP3 course taught by MTI President Sharon Mumper to learn the keys to writing and training writers. You’ll learn how to do research, organize your article, write great leads and conclusions, and compose eight different types of articles. Topics include conducting interviews, handling Christian topics, editing your own writing, and keys to powerful writing. Although the MP3 is in English, manuals in English, French, Russian, Romanian, and Polish are included in PDF format on the CD. Sharon Mumper is founder and president of Magazine Training International.